Two Dot Books, 9781493029709, 240pp. How Did Pioneers in the Old West Do It? Living in the Old West required not only stamina, but innovation. Imagine putting a cake together without fresh supplies, measuring spoons, or a dedicated work area; imagine baking that cake without a thermometer, steady heat, or a timer. 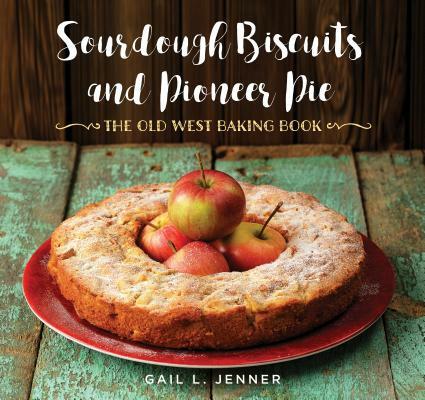 Sourdough Biscuits and Pioneer Pie shares the baking secrets of Native American ranch house cooks, chuck wagon chefs, and wagon train homemakers, with over a hundred Old West recipes--updated and kitchen tested. Laced among classic baked goods recipes such as Sourdough Biscuits, Apple Brown Betty, and Concord Grape Pie are dozens of anecdotes and fun facts on how our ancestors were so successful with so little. GAIL L. JENNER lives with her rancher husband on their family's 150-year-old, original homestead near the town of Etna in Northern California. An avid cook and gardener, she has had recipes published in Better Homes & Gardens, Everyday with Rachel Ray, Country Woman, and A Taste of Home.